As a prelude to International Women’s Day the opening reception for the pumping exhibit was perfect. We had a good turn-out, and lots of help from the people and organizations in the city that have the power to incorporate new, more mother-friendly policies into local government and institutions. Three women shared their own stories and perspectives, we collected ideas for new policies and practices, and everyone had a chance to read the compelling stories shared by our artists. 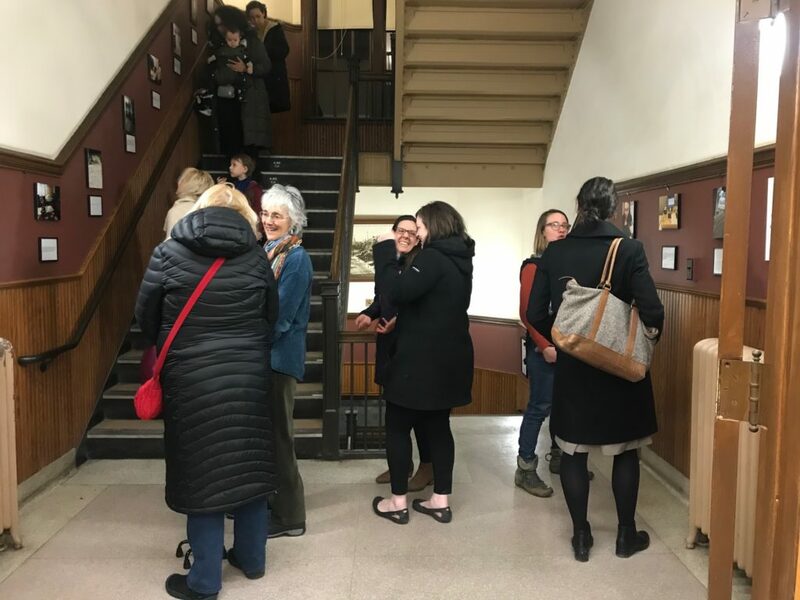 The exhibit hung for almost a month, and was seen by everyone who climbed the Somerville City Hall stairs.